Of all the destinations to venture to for a summer escape, we can't think of a better place than Rome, Italy. Architectural buffs can stand in awe of landmarks like the Colosseum and the Pantheon, while art lovers can visit the Trevi Fountain and seek out the work of Baroque painters in the Vatican Museums and Villa Borghese. And for foodies, there's no shortage of authentic homemade pasta and delicious Italian wine. 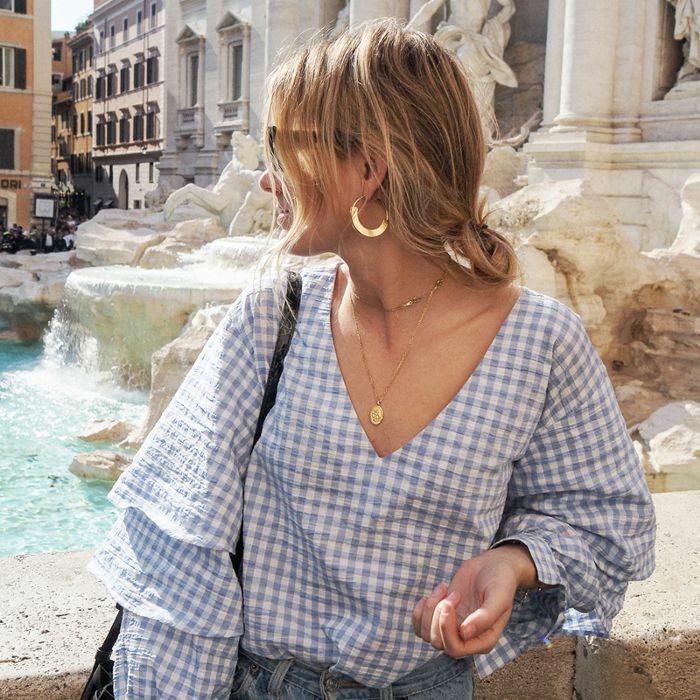 "What makes Rome so special is the vibrant energy and sensory exuberance that runs through the city," says Tara Cappel, founder of the boutique curated travel company For the Love of Travel. She loves Rome so much she once took up residence in the city for a year. Depending on what's on your vacation to-do list, Cappel has recommendations for the best areas to stay in Rome. Whether you visit for the art, the history, or the food, stay in these local-approved spots for the perfect Roman holiday. The Insider Info: "This mostly pedestrian-only area is filled with delicious trattorias and enotecas as well as a lively evening vibe," shares Cappel. She recommends seeking out Le Mani in Pasta and ordering a plate of cacio e pepe. The Insider Info: Stay in Lazio and venture a bit outside the city to Castelli Romani for some of Italy's best wine. "Frascati, especially, is known for the beautiful villas built by ancient Rome's elite and produces some notable white and rosé wines," says Cappel. "It is a great day trip or place to stay for a night away from Rome's hustle and bustle." The Accommodations: Stay at the family-run Merumalia Wine Resort. According to Cappel, it boasts amazing views and offers a truly authentic experience. The Insider Info: While art can be found all over Rome, Cappel recommends staying near the Prati District, where you'll be close to the Vatican Museums and Galleria Borghese. "If you're interested in purchasing, there are also many artist-owned galleries just across the river near Piazza Navona," she says. The Accommodations: Cappel suggests booking a room at the Relais Cola di Rienzo, situated close to the Vatican and the metro. The Insider Info: "While still beautiful and centrally located, this area is still inhabited mostly by locals, giving it an untouristy vibe," says Cappel. Here, you'll find family-run trattorias and eclectic boutiques unique to this under-the-radar area to stay in Rome. The Accommodations: Stick with the local experience and stay in a quaint bed-and-breakfast. Cappel recommends 2 Passi al Colosseo. The Insider Info: "You'll want to stay near the Pantheon because you'll want to be able to admire it multiple times," according to Cappel. The Pantheon is located in the Old Town, which is lined with ornate buildings. "For the best views, try to peek inside the palazzos as the interior courtyard is where the most impressive architecture is," she says. The Accommodations: Stay in the Hotel Nazionale Roma overlooking Montecitorio Square in the heart of Rome's historic center. The Insider Info: "Luckily, central Rome is a pretty tight area, so you can cross off all the major attractions in a weekend," Cappel explains. "Base yourself near Piazza Venezia. This is where the main bus lines run through that can take you wherever you need to go." The Accommodations: Cappel suggests booking a stay at the G55 Design Hotel. You'll be right at the center of everything. The Insider Info: For the best shopping in Rome, you'll want to stay near the famous square Piazza di Spagna. "Nearby Via Condotti is famous for being lined with luxury brands, but if you head a couple of streets over, you'll find great boutique shopping as well," says Cappel. The Accommodations: Book your stay at the boutique Hotel Condotti located just around the corner from the iconic Spanish Steps. The Insider Info: "There are many pockets of nightlife in Rome, but if you’re looking for a great bar scene, base yourself in Campo de' Fiori," says Cappel. "This piazza hosts a daily market but by night turns into a buzzy bar scene. It's also right across the river from Piazza Trilussa, which is another popular going-out spot for locals and visitors alike." The Accommodations: Cappel recommends the Hotel Damaso for a beautiful stay in a prime location.